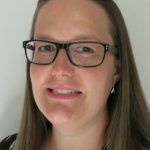 Sarah is an experienced Practice Manager who combines her warm engaging outlook with a dedicated efficiency that ensures the successful management of the business. With over 16 years’ experience in the dental industry Sarah’s passion for her role is fundamental and this shown through her respectful and professional manor. Sarah started working for Dr. Richard van Cuylenburg in 1999 as a trainee Dental Assistant. She obtained her Certificate III in Dental Assisting from RMIT in 2000. She worked as an assistant for Richard and other dentists in the practice for 4 years, where Sarah then became the Practice Manager. In 2011 Sarah obtained her Certificate IV in Professional Practice Management from University of New England. Sarah is committed to continual professional development including attending Practice Management conferences with the Australian Dental Association to stay informed and up to date with all areas of the dental practice and management.